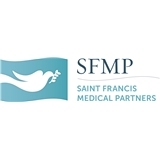 Saint Francis Medical Partners - Kate Bond (Bartlett) - Book Appointment Online! The staff was very nice. And I really liked that they had their own radiology and lab department in the clinic. It saved time as far as treatment. She listens to you and makes sure you understand what is going on with you.